From the owner: Premier Inn has everything you'd expect; incredibly comfy beds in every room and an onsite restaurant for a fresh new twist on eating. We prefer Telephone Bookings on 01642 649355 or you can E-mail us. 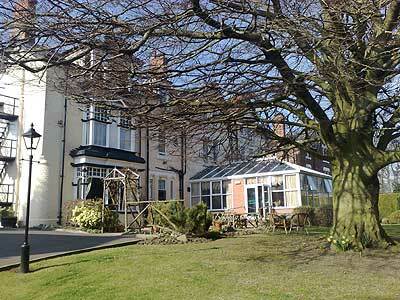 Charlton's Hotel offers a town centre location close to all amenities. 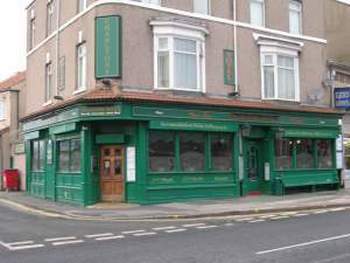 We are a family run Hotel adjoining our public bar offering a Big Screen TV, Free Pool & Free Jukebox. Free WiFi available. An evening meal (5 - 7 pm) is included in the price of £20.00 per person per night. 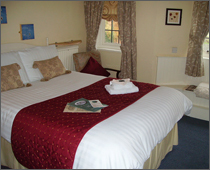 However we now offer Room Only for £15.00 per person per night subject to Two people sharing a Twin Room. 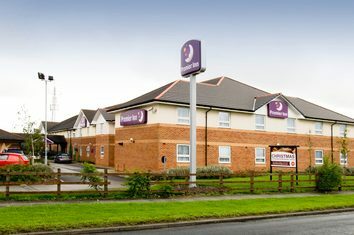 Located within easy reach of the A19 and A66; this Premier Inn is close to the Riverside stadium and within walking distance of Durham University. For shops and local amenities Stockton-On-Tees town centre is only 1 mile away. 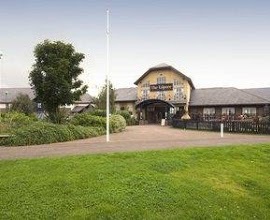 Our Stockton-On-Tees West Premier Inn has everything you'd expect, incredibly comfy beds in every room and an onsite Brewers Fayre restaurant serving great value pub favourites in a family friendly environment. REVIEW "Booked as a last minute trip on the evening of travel. Location was ideal. The hotel is just off the A19 and is very noisy. Booking was very easy and So was finding the hotel. The pub next door is quite pleasant but I arrived late and did not eat there." "We stayed here for a weekend as we were attending a family Wedding at Wynyard Hall. Lots of family members stayed here and we all managed to sit together for breakfast each morning. Breakfast is on site and cooked fresh to order. 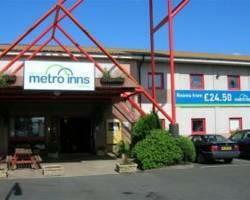 Cannot thank the staff enough, very friendly, nothing was too much trouble and the rooms are very clean,." Convenient located for Teesside with good rail and road links, this friendly hotel is your premier choice for value hotel accommodation, ideal for business or leisure needs. Take a break from other expensive hotels, motels or guest houses and try this clean and welcoming hotel. Modern and cleverly designed non-smoking rooms each contain a double bed and a bunk bed, where you can relax in front of the TV after a busy day. Toilets and showers are located just down the hall from your room. 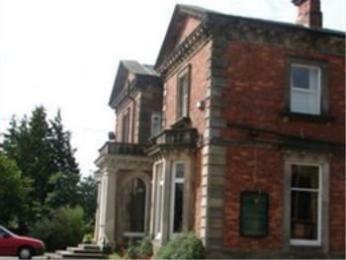 The Claireville Hotel is a friendly, family-run hotel situated on a pleasant tree lined road in Eaglescliffe, between the market town of Stockton-on-Tees and the cosmopolitan village of Yarm in the Tees Valley. We have rooms, bar and a restaurant available, and friendly staff to ensure your comfort. The hotel is set in an historic old house and is perfectly situated only minutes from Middlesbrough, Stockton-on- Tees and Yarm. The Claireville holds a fond place in the memories of many guests who have held a special event at our hotel. Whether it was a birthday party, business function, wedding reception, or an intimate family meal, the response of our guests has always been one of enjoyment and fulfillment. The Claireville can cater for all of your events in our function rooms, from a small intimate table in our restaurant to a fabulous party for all of your friends and family. Our bar is comforable, and our restaurant able to cater for all of your guests, with excellent food and menu ideas to choose from. If a grand party is your style, we can also organise entertainment. 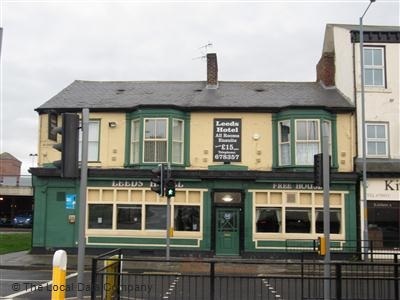 The Stockton Arms is a 3 star hotel situated in a mainly residential suburb of Stockton, known as Hartburn Village, approximately 1 mile from the main town centre. 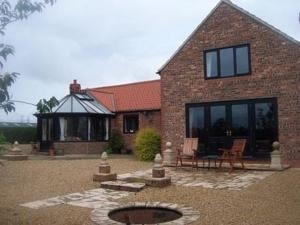 Ideally situated near to the A66 and is within 15minutes of Durham Tees Valley airport. The newly refurbished hotel accommodation has been tastefully decorated and refitted to a high specification and boasts 5 quality bedrooms. Located in Stockton-on-Tees, the Parkwood Hotel is a converted Victorian house set in its own grounds in the smart suburb of Hartburn. Offering quality bed and breakfast accommodation in the North East, The Parkwood Hotel is also available for functions and restaurant meals. With excellent customer service and a friendly atmosphere, staff at Thorpe Thewles Lodge will aim to make your stay as comfy and relaxing as possible. Set in peaceful, beautiful surroundings, the principal village is Thorpe Thewles, not far from Middlesbrough, Stockton and Darlington. General Pets allowed, Garden, Non-smoking rooms, Continental breakfast, Family rooms, Free parking, Heating, Luggage storage, Breakfast buffet, Non-smoking throughout. Activities Hiking, BBQ facilities, Cycling, Horse riding. Services Laundry, Breakfast in the room, Ironing service, Bridal suite, Internet services, Fax/photocopying, WiFi, Free WiFi. 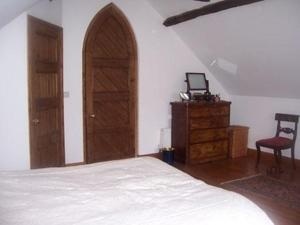 Thorpe Thewles lodge is situated in a beautiful village on the A177. It is 6.7 miles from Yarm centre and 3.9 miles away from Stockton town centre. Thorpe Thewles has 2 beautiful country pubs where you can enjoy a relaxing evening. Pitches: 115 Open: Open All Year. This site has 15 acres of land accommodating 115 pitches including 21 serviced pitches, plus there are 221 storage pitches with CCTV. This pleasantly landscaped site is a part of the largest white water canoeing and rafting course built to international standard in Britain. The Centre provides facilities including a sheltered viewing balcony, a drying and changing room, canoe storage area, shop and cafe. Famous for its summer International Riverside Festival, Stocktons museum tells the story of George Stephenson and The Birth of the Railways. Nearby Teesside Park is a shoppers paradise with restaurants, multi-screen cinema complex and bowling alley. From N & S on A19 - turn onto A66 (sp Darlington); foll sps Tesside Retail Pk & Tees Barrage; cont in nearside lane; in abt 200yds take 1st exit sp Teesside Retail Pk & Tees Barrage; keep in R lane & at traff lts turn R over A66 sp Tees Barrage; cross rly bdge; cont straight at mini-rndabt; cross Tees Barrage bdge & turn R. Site on L past Talpore PH car pk.